The Emoji 12.0 Beta contains 236 Emoji Draft Candidates, consisting of 61 characters plus 175 sequences. These are slated for release in 2019Q1 together with Unicode Version 12.0. The emoji are in the following categories: 3 smileys & emotion, 209 people & body, 7 animals & nature, 9 food & drink, 6 travel & places, 3 activities, 15 objects, and 12 miscellaneous symbols. 50 of the new emoji (including gender/skin-tone variants) are for accessibility, such as ear with hearing aid and woman in manual wheelchair. The hearts, circles, and squares now have the same set of colors for decorative and/or descriptive uses. A mechanism is provided for mixed skin tones for emoji in group B, such as with a family of man+woman+girl+boy, but support is optional. The 40 holding-hands emoji with mixed skin tones have a simpler internal representation, compared to the previous draft. The 15 with uniform skin tones use a single character plus skin-tone modifiers. Implementations may optionally support all combinations of mixed skin tones for the 6 multi-person emoji in the B group. This can be a large number — over 4,000 for the family emoji alone — and thus may not be practical for all devices. Clearer definitions are now provided in the specification, along with a new set for Basic_Emoji. For other details, see the specification. The complete list of emoji sequences for Emoji 12.0 will be finalized during the next UTC meeting in January 2019. 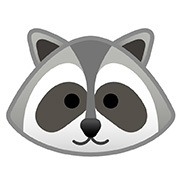 The CLDR English names and keywords for the new emoji characters will be finalized within the next month, and translation into 80+ languages (such as Slavic languages) will begin. Feedback is welcome on the sorting order and the English names and keywords. Over 130,000 characters are available for adoption, to help the Unicode Consortium’s work on digitally disadvantaged languages. Unicode® ICU 63 has just been released. It updates to CLDR 34 locale data with many additions and corrections, and some new languages. ICU adds an API for number and currency range formatting, and an API for additional Unicode properties and for constructing custom properties. CLDR and ICU include data for testing readiness for the upcoming Japanese calendar era. ICU is a software library widely used by products and other libraries to support the world's languages, implementing both the latest version of the Unicode encoding standard and of the Unicode locale data (CLDR). For details please see http://site.icu-project.org/download/63. Version 34 is the latest version of CLDR, the core open-source language data that major software systems use to adapt software to the conventions of over 80 different languages. CLDR data is used by many products for Unicode and language support, including Android, Cloudant, Chrome OS, Db2, iOS, macOS, Windows, and many others. CLDR 34 included a full Survey Tool data collection phase increasing to 85 languages at the “modern” (full) level, 4 at the lower “moderate” level (suitable for document content), 18 at the basic level, and about 100 others that don’t meet the level requirements. Among the other changes: new units were added (e.g., atmosphere, petabyte); many new emoji keywords and names were corrected/refined, with updated emoji sort order; and preparations for the New Japanese Era (affecting most software for Japan) were made. The specification was also updated with many changes for Unicode Locale Identifier and BCP 47 Conformance sections, plus defining the syntax of unit identifiers. For other changes, details, and links to documentation, see the CLDR 34 Release Notes. The combining classes of Arabic combining characters in Unicode are different than combining classes in most other scripts. They are a mixture of special classes for specific marks plus two more generalized classes for all the other marks. This has resulted in inconsistent and/or incorrect rendering for sequences with multiple combining marks since Unicode 2.0. The Arabic Mark Transient Reordering Algorithm (AMTRA) described in UTR #53 is the recommended solution to achieving correct and consistent rendering of Arabic combining mark sequences. This algorithm provides results that match user expectations and assures that canonically equivalent sequences are rendered identically, independent of the order of the combining marks. The concepts in this algorithm were first proposed four years ago by Roozbeh Pournader. We are pleased it has now been published as an official Technical Report. The Unicode Consortium announces the election of four Directors for three year terms beginning January 2019: Bob Jung, Iris Orriss, Alolita Sharma, and Greg Welch. A fifth candidate, Michele Coady, was elected for a one year term. Michele Coady and Iris Orriss join the Consortium Board of Directors for the first time. Bob Jung, Alolita Sharma, and Greg Welch have been re-elected to continue their service as Directors. 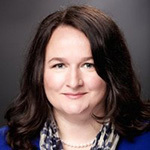 Michele Coady is a Director of Global Readiness at Microsoft, responsible for the Microsoft Global Readiness policy, which includes driving geopolitical, globalization and internationalization compliance, risk management and awareness company-wide. She has been providing geopolitical support and guidance for the Microsoft Unicode emoji work for several years. Iris Orriss serves as Director of Internationalization at Facebook. She has been with Facebook since January 2013 and is passionate about eliminating the internet language and cultural barriers. Her work focuses on growing Facebook in international markets. 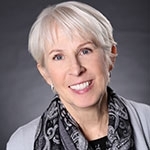 In addition, Iris is member of the board at Translators without Borders, a nonprofit organization that provides vital information in the right language at the right time. Prior to Facebook, Iris was a director at Microsoft working on product internationalization and development process in the enterprise and language technology divisions. She is a native of Germany, speaks four languages, and was educated at Freie Universität Berlin. The Unicode Consortium would like to thank Dachuan Zhang who will step down in 2019 after four years as a member of the Board of Directors. For the listing of current directors and officers of the Consortium please see Unicode Directors, Officers and Staff. The Unicode Consortium would like to welcome a new Technical Director, Dr. Ken Lunde. 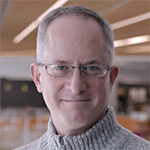 Ken Lunde has worked at Adobe since 1991, specializing in CJKV Type Development, meaning that he develops East Asian fonts, along with the specifications on which they are based. He architected the Adobe-branded “Source Han” and Google-branded “Noto CJK” open source Pan-CJK typeface families that were released in 2014 and 2017, is the author of “CJKV Information Processing” Second Edition that was published by O’Reilly Media at the end of 2008, and frequently publishes articles on Adobe’s CJK Type Blog. Ken holds BA, MA, and PhD degrees in linguistics from The University of Wisconsin-Madison. 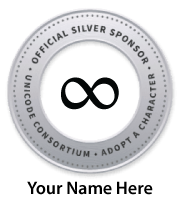 Ken has been Adobe’s representative to Unicode since 2006, has been the primary representative since 2015, serves as the IVD Registrar, participates in the Unicode Editorial Committee, and received the 2018 Unicode Bulldog Award.